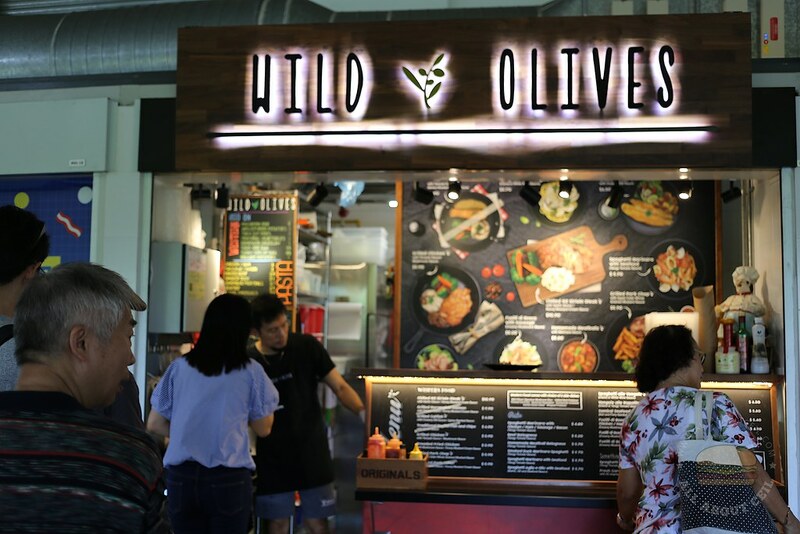 They used to be at Staff Canteen at Changi Airport Terminal 2, they were around for quite a while then it closed down before resurfacing at the newly opened Pasir Ris Hawker Centre. This was the only stall that got a queue when I was there for lunch and there were at least 15 people in the queue. Grilled Chicken ($5.90) is their popular choice as most of the customers ordered it. It is served with a choice of 2 side dishes. 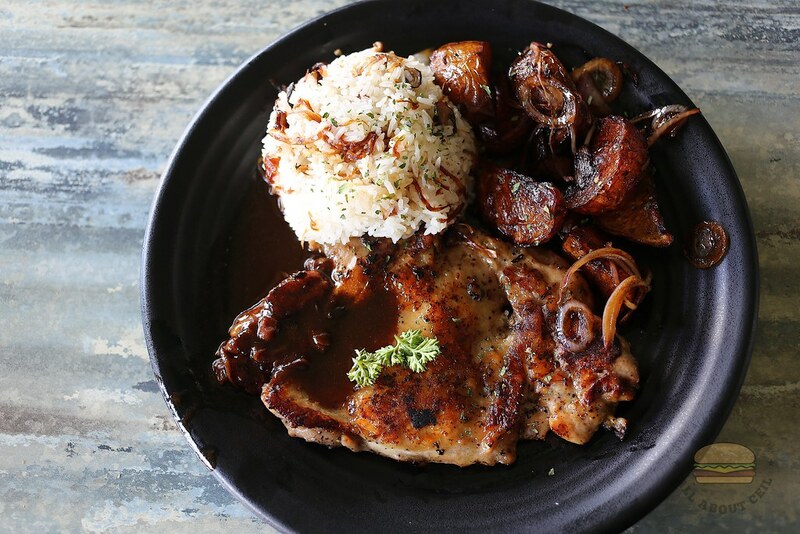 The recommended side dishes to go with it are their Signature Mushroom Rice and Grilled Herb Potatoes, the other choices are Seasonal Vegetable, Homemade Coleslaw, Garden Green Salad, Whipped Potatoes and Thick Cut Fries. I decided to go with the Chilled Chicken and opted to have the Signature Mushroom Rice and Grilled Herb Potatoes. I was given the option to choose between the mushroom and teriyaki sauce, I decided on mushroom sauce. I also ordered their Homemade Meatballs with Marinara Sauce ($5.80). There is also an option to add the soup of the day for just $1. The nicely presented Grilled Chicken came in a massive portion, the chicken chop was quite a big piece with the generous serving of side dishes, really good value. The price itself is cheaper than most of the Western hawker food stalls. The chicken was nicely charred to bring forth a smoky flavor, it was moist and tender within though the meat was slightly underseasoned. The Mushroom Rice has somewhat reminded me of the traditional glutinous rice, there was a certain similarity in taste. It was served using the normal rice mixed with caramelized onions and slices of mushroom. This was my first time came across such a side dish and was quite impressed. The Grilled Herb Potatoes were in chunky pieces serving with caramelized onions and sprinkled with chopped parsley. It tasted a little like honey-soy sauce, a mixture of sweet and savory flavor. 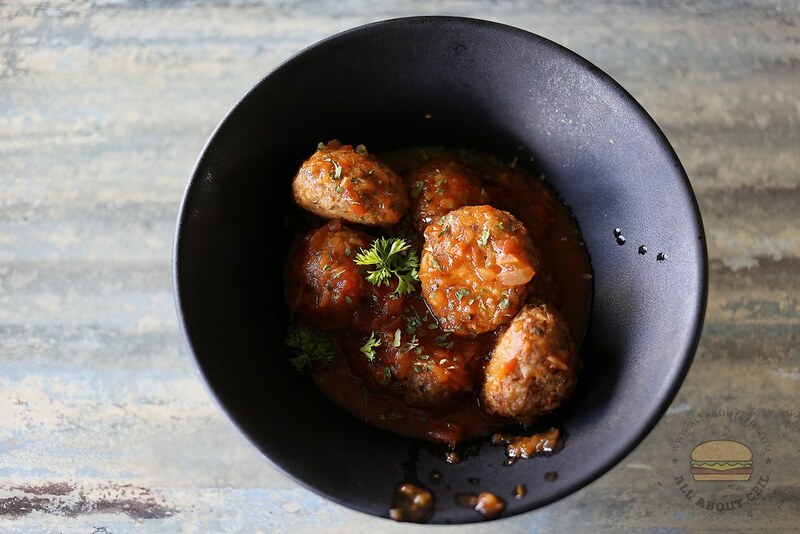 The Homemade Meatballs with Marinara Sauce was a good side dish to be shared. My dining companion commented that the texture of the mild-flavored meatballs was quite good though the sauce was just average.